EHL 336 affectionately known as Ethel, or if you are a chemist like me Ethyl, is a Leyland PS2 from 1953 with imposing 30ft x 8ft body. 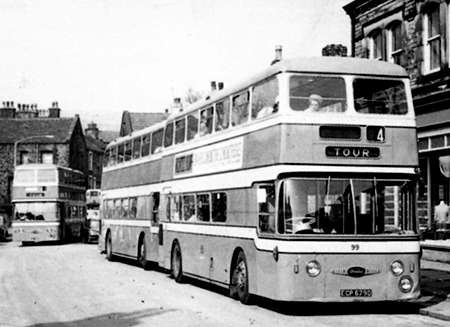 It was new as West Riding fleet number 725, and saw further use with Boddys of Bridlington before being preserved. Restoration was completed in 2011, the year this picture was taken. It is part of the Roger Burdett collection. This year (2013) sees it celebrating its 60th birthday – that’s only a year younger than the photographer. Oh what a beauty! Needs little elaboration. Part of Roger’s collection, and among Ken’s photographs. Only three words: "Thank you" and "Excellent!" I was the last Boddys driver to drive EHL from Hull to Brid were it was parked awaiting collection by the West Riding Group. What a gem! Everything about the design and livery works a treat. The preservationists have done a superb job. Charles H Roe at his/their best. I suppose this is basically the same body as Lancashire United’s Guy Arab III coaches. To my eye, this body looks similar to Duple C33F of 1948 of Wallace Arnold as shown on this site under Duple. 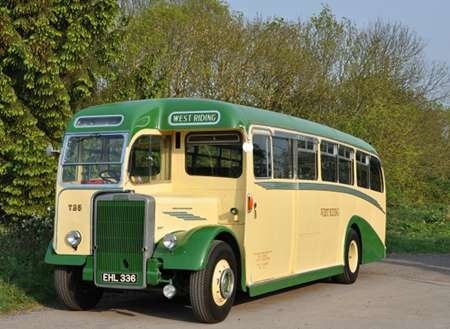 Lovely coach – a true classic. It’s interesting however that the two biggest independents in those days, West Riding and LUT, both went for traditional half cab coaches when the underfloor models were virtually the norm for most operators of heavyweights by 1953. If West Riding had adopted a similar traditional approach a few years later for their double-deck purchases and gone for the Guy Arab rather than the revolutionary but ill-fated Wulfrunian (as indeed LUT did) they might have stayed in business as an independent for a lot longer. But then hindsight is something we don’t always have. To be fair, Philip, they did. They had quite a few Arab IVs prior to the Wulfrunians – which were a joint development (even at the prompting of West Riding). 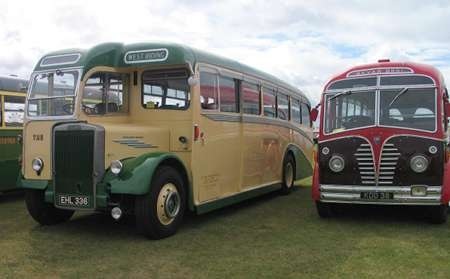 As you said, interesting – but more so that they had the same design of Roe coach. The Arab IVs seemed to go on and on. We have discussed the Wulfrunian here before, but it could be that despite its inherent flaws, the winners are writing the history books. 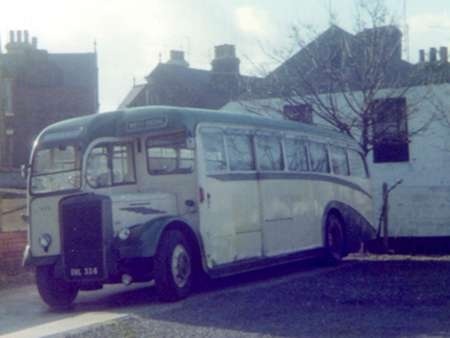 Leyland produced a bit of a lemon too in the Atlantean, but had the clout to make it work. Now what was wrong with the AEC Q? There’s a challenge to the engineers and traffic officers…. What made the Fleetline so good and reliable and the Atlantean a lemon? Why was the AN68, in contrast, so good? What was wrong with the Q? Just too advanced for its time. Where is EHL 335 on view? I missed it at Heath Common. 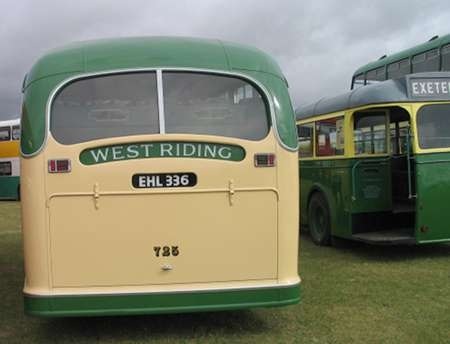 I attach a couple of views of the wonderful West Riding vehicle which already appears on your pages. These were taken by myself at the Gloucestershire Steam Fair in 2011. It not only looked good but sounded good too. Sister vehicle EHL 335 is now in the care of the Aire Valley Transport Group. Joe asks why the Q didn’t work. It did as a single decker, provided it was London Transport running them. 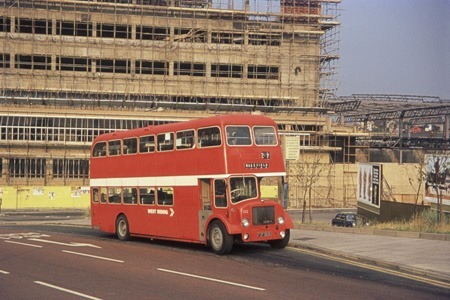 The double decker did not work for a number of reasons but the main ones were cooling or the lack of and the dodgy handling that was caused by the short rear overhang and the single rear wheels. The combination of the two and other weaknesses led to most being sold early. 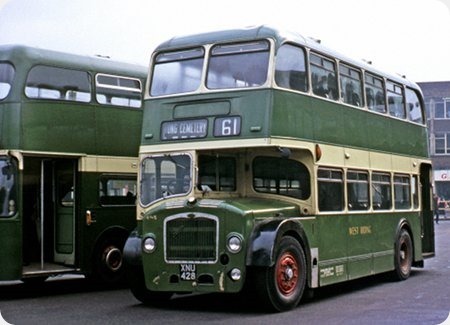 Geoffrey Hillditch’s Another Look at Buses goes into some detail, including looking at the maintenance records of the sole Halifax bus.